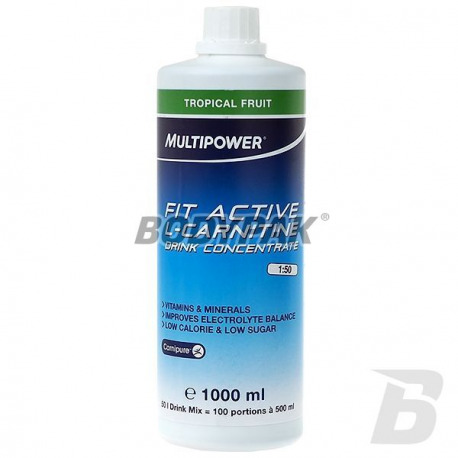 Fit Active Vitamin Drink + L-Carnitine - drink hypotonic (low-calorie drink vitamin - mineral), supplemented with L-carnitine. 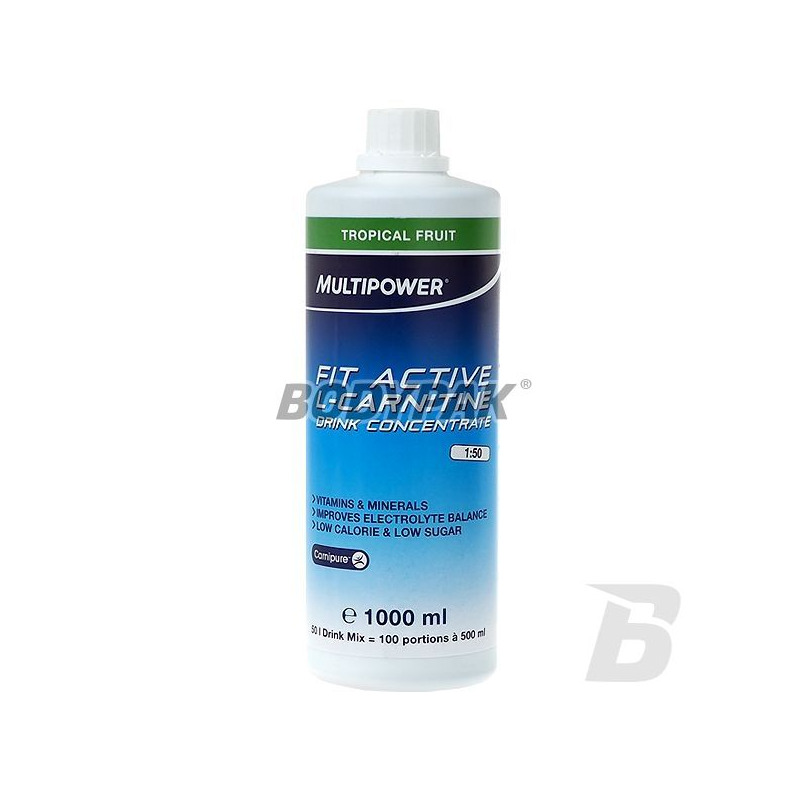 Fit Active Vitamin Drink + L-Carnitine - drink hypotonic (low-calorie drink vitamin - mineral), supplemented with L-carnitine. Quickly compensates deficiency of vitamins and minerals lost as a result of exercise or diet reducing body weight. L-Carnitine optimizes the energetic processes, accelerates the recovery time after training. It is especially recommended for athletes practicing a discipline, endurance, and those dieters. preparation of one portion - 10 ml of the concentrate dissolve in 500 mL of water.